Llantrisant hosted its first Big Picnic on Sunday 12th June to boost community spirit and highlight the work of its ancient Freemen tradition in the hilltop town. 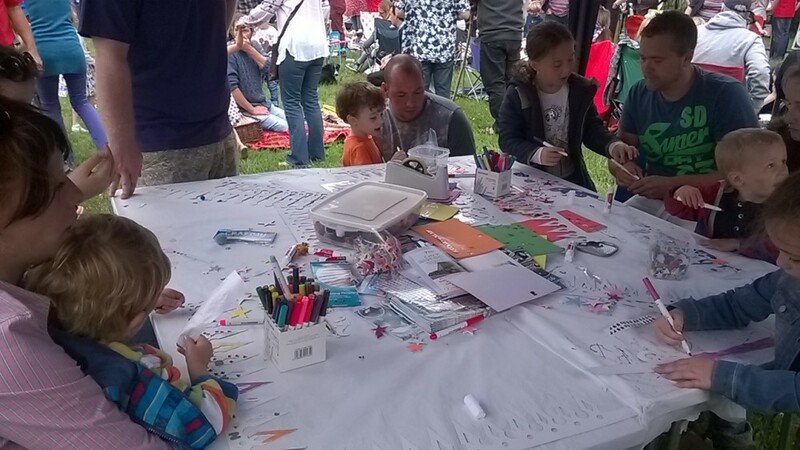 Organised by Llantrisant Town Trust and supported by Llantrisant Community Council more than 600 people visited the Castle Green on the sun-filled Sunday afternoon. There were a host of stalls and various activities on offer, from circus skills workshops and children’s crown making to demonstrations by Falconry UK’s birds of prey.The crowd enjoyed performances from RAF St Athan Voluntary Band, Llantrisant Male Choir, Cor Merched Llantrisant, Llantrisant Primary School Choir and The Unforgiven.